……the PROTECTIVE SUN CREME difference…. All natural PROTECTIVE SUN CREME is another unique formulation derived from "all natural" ingredients combined with the remarkable transdermal effects of emu oil. PROTECTIVE SUN CREME is an excellent sun protection for sensitive facial skin and for babies. Ideal for Rosacea sufferers or anyone unable to tolerate the burning associated with chemical skin sun lotions. The tinted color of the crème will blend beautifully with most skin types and will give you a healthy look without the pale face associated with a zinc oxide product. Only a small amount is needed to give you the necessary protection. Through the new technology of U.S. Patent #5,393,461 "Preparation of Stable Aqueous Emulsion of Water-Insoluble Particles", and the other natural ingredients from around the world…Protective sun creme is the most scientifically advanced and effective sun protective crème available. It contains Z-Cote micro-fine zinc oxide which blocks both UVB and UVA rays that are known to cause premature aging in skin as well as cause certain types of skin cancer. Many other sunscreen preparations that are available on the market contain chemical ingredients…and the reason for this is the cost! It is far less expensive to formulate and manufacture over-the-counter products that contain chemical ingredients, because the technology and manufacturing are quite simple. Also, the "chemical" formulations on today's market are not as effective because the zinc oxide is blocked by synthetics, resulting in less effective sun protection. 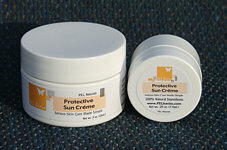 PROTECTIVE SUN CREME is an important part of any skin damage prevention strategy. Many sunscreens can irritate the skin.  PROTECTIVE SUN CREME not only protects, but will moisturize and promote the repair of sun-damaged skin. The raw ingredients used in PROTECTIVE SUN CREME originate from all natural sources. Only the best ingredients available will be used in our line of products presently being developed for PEL Naturals. If for any reason, PROTECTIVE SUN CREME is not the best sun protective crème you have ever used, Please return for a full refund of the purchase price. SHEA BUTTER is obtained from the nuts of the Mangifolia tree in Central Africa. An excellent emollient for moisturizing skin. OLIVE OIL is a natural emollient expressed from ripe olives. Full of antioxidants known to have excellent properties to help damaged skin. It has been used as anti-aging oil for the skin by Mediterranean countries for centuries. ZINC OXIDE has been used for many years in the treatment of literally hundreds of skin disorders. It contains a mild astringent and antiseptic action as will as an anti-fungal agent and is an effective preservative. Zinc is an essential mineral for healthy skin and zinc oxide is made from zinc ore that is mined from the earth and purified for use in many skin treatments. TITANIUM DIOXIDE is valued as a natural sunscreen and reflecting agent against the full spectrum of the sun's damaging rays. A powder mined from titanium ore, very effective UV blocker. Safe for your skin and the environment. CAMOMILE extracted from the camomile flower, is used for its sedative and emollient properties. Tremendously soothing and softening agent for rough and irritated skin. VITAMINS C AND E are added to make an excellent natural preservative. GREEN TEA has been widely documented for it's anti-carcinogenic effects. It contains polyphenolic anti-oxidants, which play an important role in the prevention of skin cell damage. Used in creams and lotions, green tea has a soothing and moisturizing effect on the skin, and research has shown that it protects from the dangers of UV rays. VANILLA FLOWER is used very lightly to mask the "earthy" smell associated with all natural ingredients.